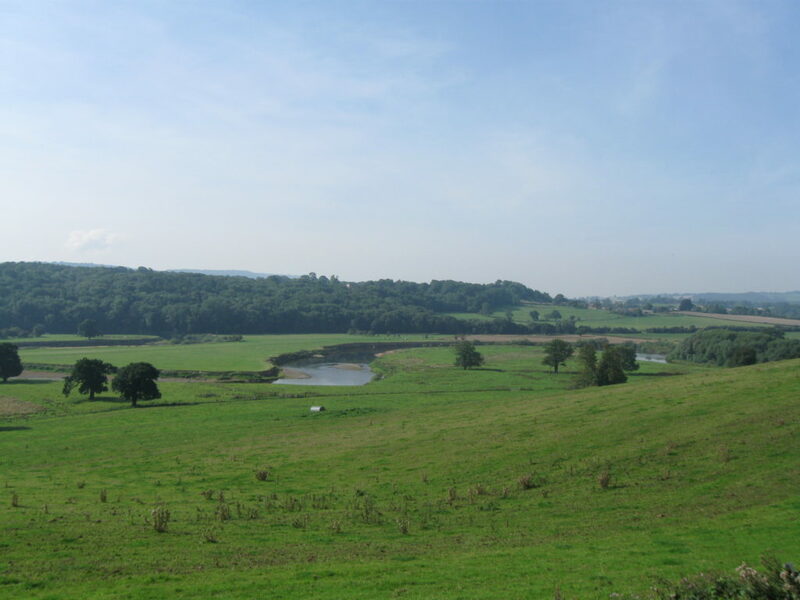 All this meandering about gradually causes a river to eat away at the valley sides and widen the flat valley floor, which is known as the floodplain. At the edge of the floodplain the slope can go up abruptly. The trees here are concealing cliffs. 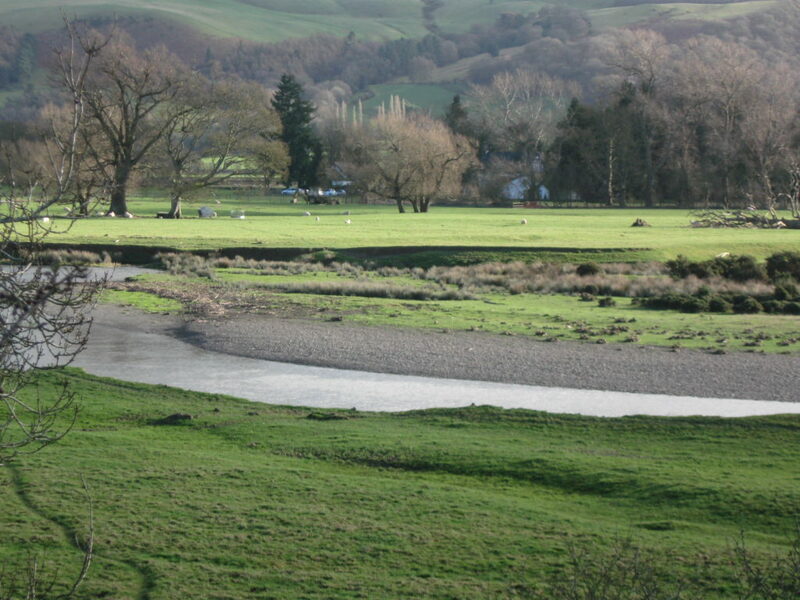 If the surrounding land is more gentle, then the edge of the floodplain is less obvious. But you can still see when the slope starts to increase. 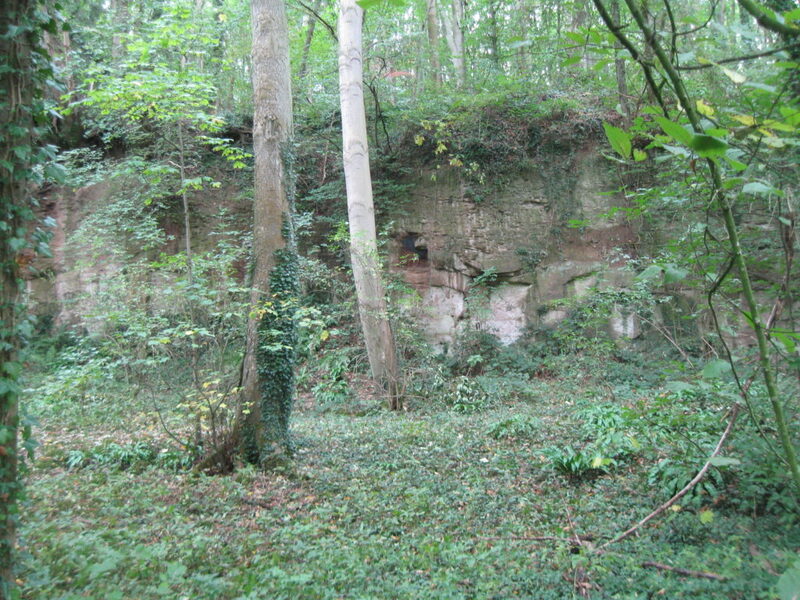 Can you also spot the other features that we’ve been learning about – river cliff, slip-off slope, point bar? 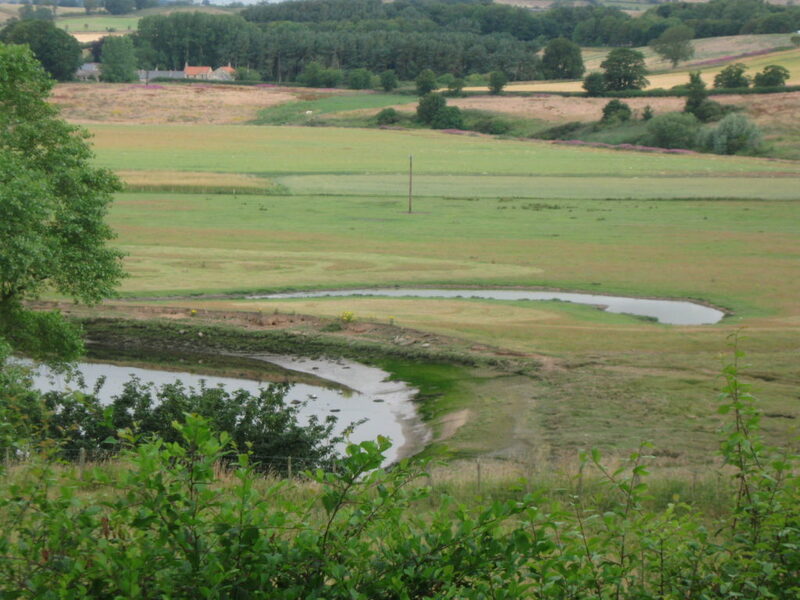 As the river meanders through the floodplain area, erosion on the outside of the bend and deposition on the inside of the bend causes the curves to become even more curvy and the meander pattern to get wider. …can you see what could happen? 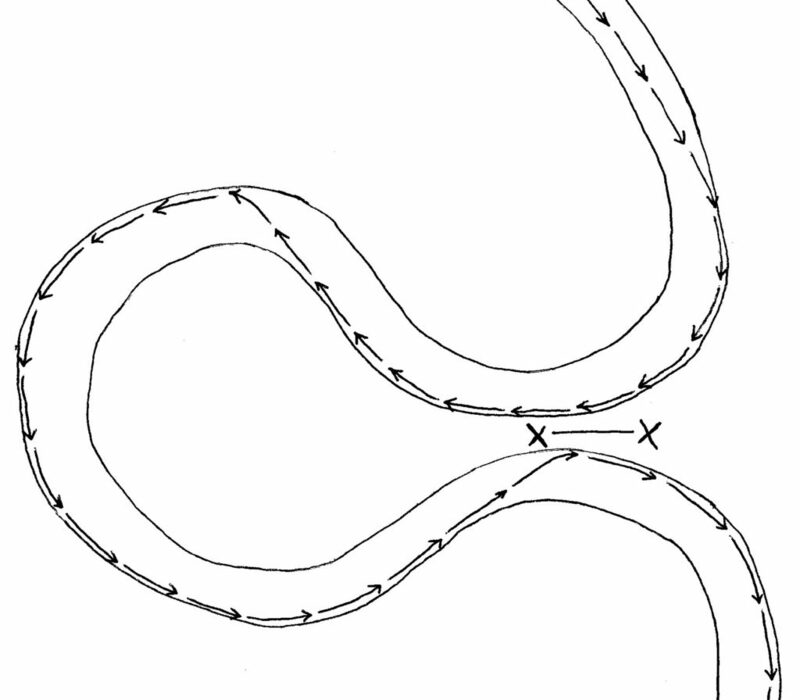 The river is eating away at both sides of X – X. The land here is getting narrower and narrower. Eventually the river will just go straight through. 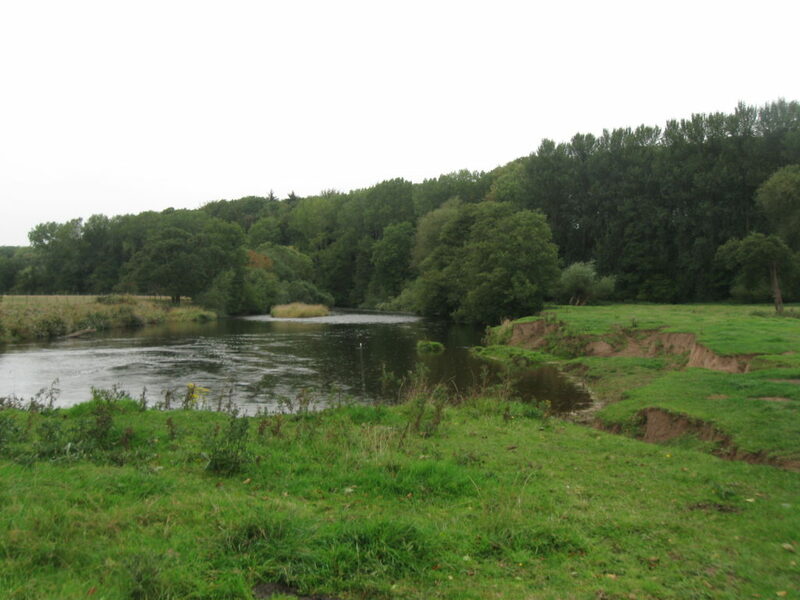 Here the river is by-passing the meander, passing between the two trees, when the level is high. Each time it does so it carves out more of the new channel. Once the new channel is being used all of the time, the old channel becomes a bit of a backwater. Anything flowing that way will be moving out of the main current and slowing down. Material being carried will be deposited. 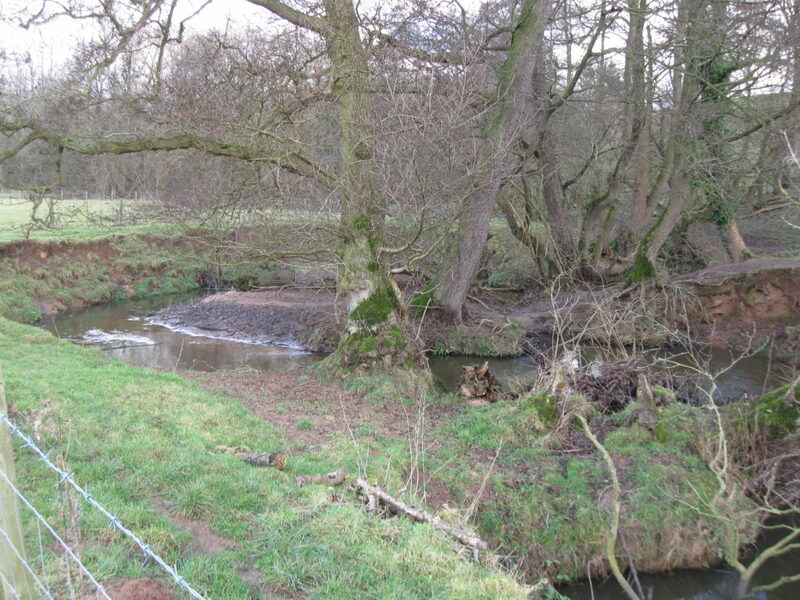 Before long the ends of the old channel will become blocked by deposition, as the river rushes on by, leaving a lake in the old meander. 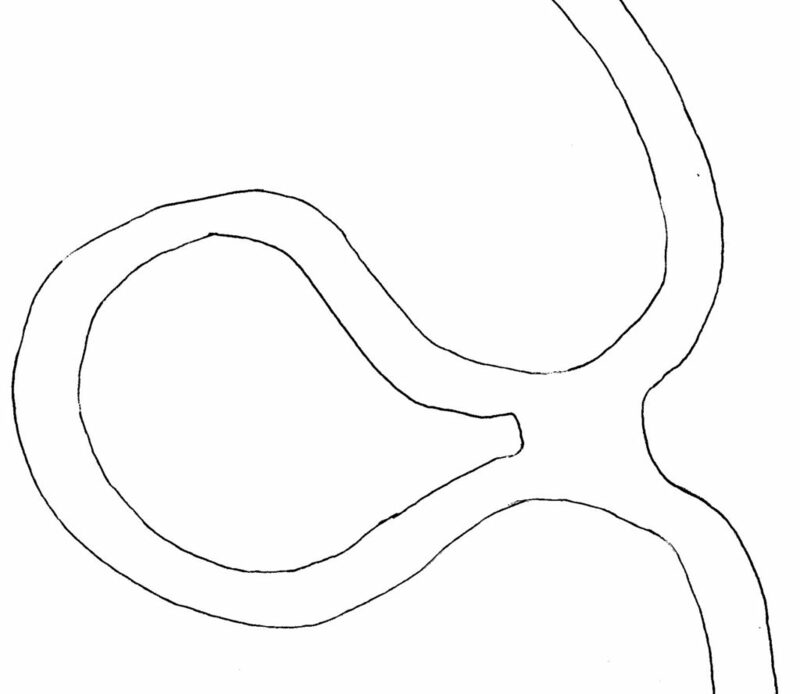 This is called an ox-bow lake due to its curved shape. Gradually the lake will dry up as vegetation takes over. Eventually the evidence in the landscape has almost disappeared. Which makes it even more satisfying when you spot one.